Formerly known as Bohemian Pilsner. A hopped up new world Pilsner using all NZ hops, creating a robust, hoppy Pilsner with a refreshing clean crisp finish. NZ Pacific Jade, NZ Motueka, NZ Riwaka, NZ Nelson Sauvin hops. An authentic Czech yeast throws the bitterness forward and enhances the malt. Taste: Crisp, firm bodied with notes of citrus and grass. Good subtle hop bitterness and light aroma of citrus and malt. 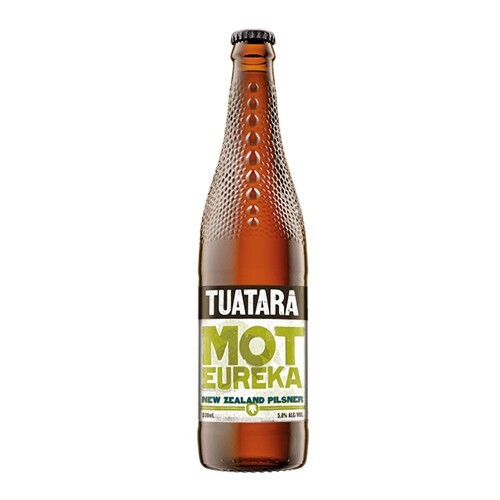 Ingredients: water, barley malt, hops (bittering: Pacific Jade; flavouring: Motueka, Nelson Sauvin, Riwaka), Czech yeast.